Apart from interview skills training for job seekers, Impressive Interviews provides a number of specialised services to a range of business clients. 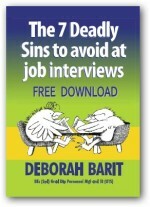 This helps them to choose the right candidate for any job. The effect of these trainings have been seen all over Australia, in cities like Sydney, Melbourne and others. Whether you’re a business graduate or run a company, a succinct biography or profile can be a valuable addition to your promotional or business development materials. We can prepare brief biographies or personal profiles for inclusion in pamphlets, websites and press releases, or as part of an overall business, marketing or expansion plan. We can act as an independent member of an interview panel to provide an impartial and expert assessment of job applicants. We can also assist with preselection of applicants and preparing interview questions. We can also train your staff in interview techniques and improve their interviewing skills. To know more about our specialised Interview skills training and coaching, Contact Us!